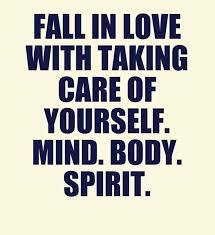 Do you take care of yourself in a way that makes you feel loved? There are many many people on this planet that don’t have a clue how to nurture themselves, this statement is the honest truth. Those people who are born as Givers, they come with the instinctual need to take care of everyone else but themselves. Although this may be a beautiful and compassionate part of character to withhold, it does not always serve the beholder well. Givers are by far the most confusing and complicated people on this planet, as I have come to know. They come with the provision of what is necessary for the health, welfare and protection of someone or something, but this usually is never applied to themselves. Why don’t the people who care so much, want to care for their own precious Souls? Encouraging, assisting, strengthening and loving other people easily comes like second nature to the gifted empathetic, they know nothing more than to sacrifice and renounce. They may tell you that doing for others is what makes them feel happy and loved. A sad statement no less, because the ones that give the most are the ones that suffer the greatest. Not only do their physical bodies wear, but so does the mind and Soul of these beautiful Beings. Self neglect is a programmed behaviour. Like most of our obnoxious conditioned beliefs, there is to be a lot of self healing in the Spirit of the Giver, only then can they resolve their own abandonment. Each one of us is responsible for how we develop. The beliefs and disbeliefs we adopt throughout our life has the greatest impact in the way we view ourself on the inside, this is where the internal healing must begin. At first we must come to the realization and profound understanding that no one will take care of us the way in which we need to be taken care of. Once you are completely aware of this deep factual belief, you can free yourself from the chains that bind you, the chains that constantly keep you looking outside of yourself to feel happiness. These self destructive, out dated, useless opinions confine us like a prisoner inside of our own Egos, constantly reminding us that we are nothing unless we are donating all of who we are to everyone and everything else. For those of you who are more than ready to begin the journey to self-love, remember one very important fact – you are worth it, you are a divine human being and you have a right to be here like everyone else.